Gaming is at an all time high in popularity, with entertainers like Ninja and Shroud accruing hundreds of thousands of viewers a month. If you’re a prospective PC gamer that needs to be able to take their rig on the go, a gaming laptop is your best bet. However, not everyone can shell out thousands of dollars for a PC, even if it is a laptop! Here are some of the best gaming laptops of 2019 that retail under $1000. 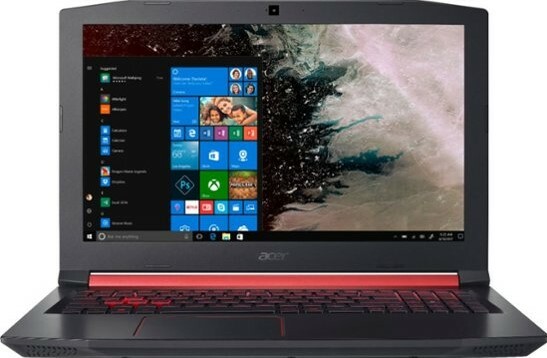 The Acer Nitro 5 is the perfect entry-level gaming laptop on the market. Although it cannot boast nearly the same framerate or performance as high-end laptops like the Alienware R17 R5, the Nitro 5 excels at what it does. This gaming laptop is great for someone who is looking to enter the PC gaming sphere fresh or transitioning from console gaming. This is because it manages to outperform consoles while remaining on the low end of most budget tower builds. However, the Nitro 5 is probably on the lowest end of the budget gaming laptops, as it’s $700 price point leaves room for a lot of upgrades.